Are you sick of having useless people on your team in League of Legends? Yeah aren’t we all. Well I think I have a team composition that can 3 v 5 with ultimates alone. Plenty team compositions have been written up and posted before but here is a definitive one in which 2 out of the 5 people on your team are completely unnecessary. First we will start off with Malphite either in the Top lane or the Jungle. In a meta where AD assassins and bruisers are completely shitting all over squishy champion, ADC especially, Malphite reigns supreme. You build straight armor along with a Thornmail and you cannot be killed. Oriana mid is a staple in the Pro scene because she is a relatively safe laner, a great team fighter and after a few items can one shot. She hold up very well against most mid laners in the meta and can certainly carry. Miss Fortune will most likely become the #1 ADC now that lethality is getting buffed. 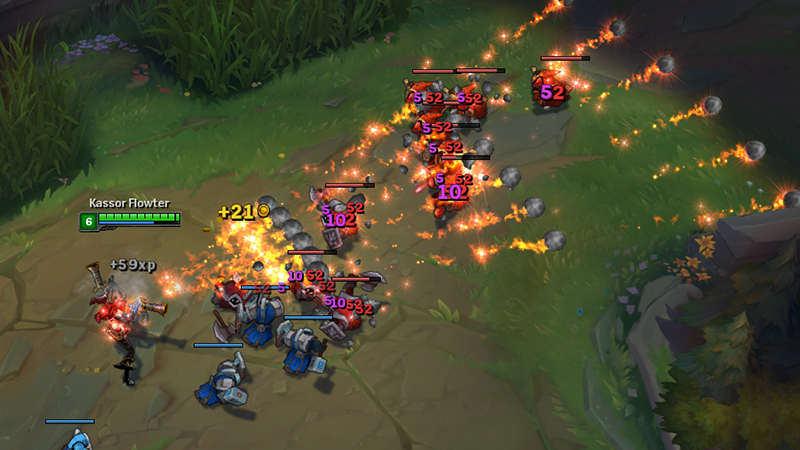 Her laning phase is pretty safe by farming and poking extreme amounts of damage with a well placed Q. Her ultimate can completely shred enemy teams…and here is why you only need these three. Laning pahse should be fine for all 3, but when you get to the mid and late game where team fights decide games, especially in lower elo, all you need is these three champions. Oriana puts her ball on Malphite, Malphite ults in hitting as many people as he can, Oriana Ults drawing them all in and I can almost guarantee chunking them all down or killing some. Finally Miss Fortune Ults into the entire thing DESTROYING everything and anything left alive. It literally does not matter if you have a jungler or a support because they can be complete non factors with this combination. If you wanna go overkill, move Malphite to the jungle and have a Yasuo Top. Take Ivern in the jungle and a Janna or LuLu/Soraka as support and you know have 2 supports, a team that can’t die and 3 ultimates that will absolutely wreck any team if timed properly.